I was looking for a new facility that I could record and rehearse at for my creative work and music project, the TikiCowboys. However, I wanted an environment to work and create in, and not be just a cookie-cutter production suite or grungy band rehearsal room. 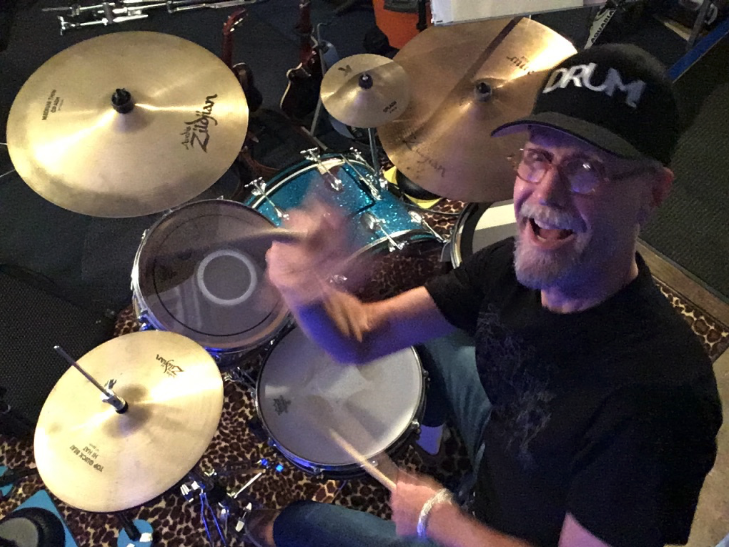 I wanted to use the space for creative projects, give drum lessons, and record and produce music. As I put the room together, leopard print continually kept getting in the mix of choices for aesthetic decor. I love the old Exotica album art and Tiki bar decorum. I also like that people call musicians "cats" sometimes too! I greatly desired more than a typical tech-style layout for the space. I wanted this creative operation center to be a "lair with flair"! I want people to escape to here for creative focus and inspiration. This is a an urban music retreat you would like to hang out at, learn, play or listen to music, without worry, judgement or intrusions. 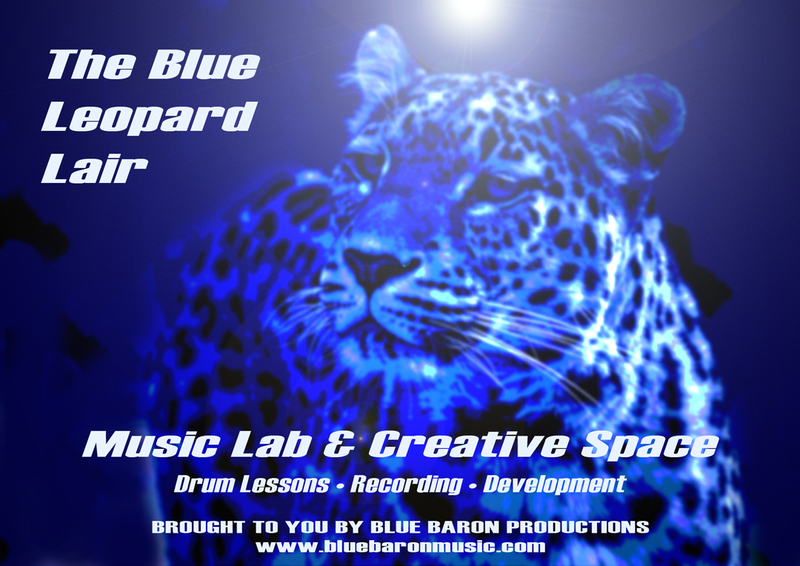 A place to focus, in an atmosphere with some vibe and grit, encouraging musical creativity and spontaneity. And yes, I will admit there had to be a "Tiki" nuance in the space as well too! 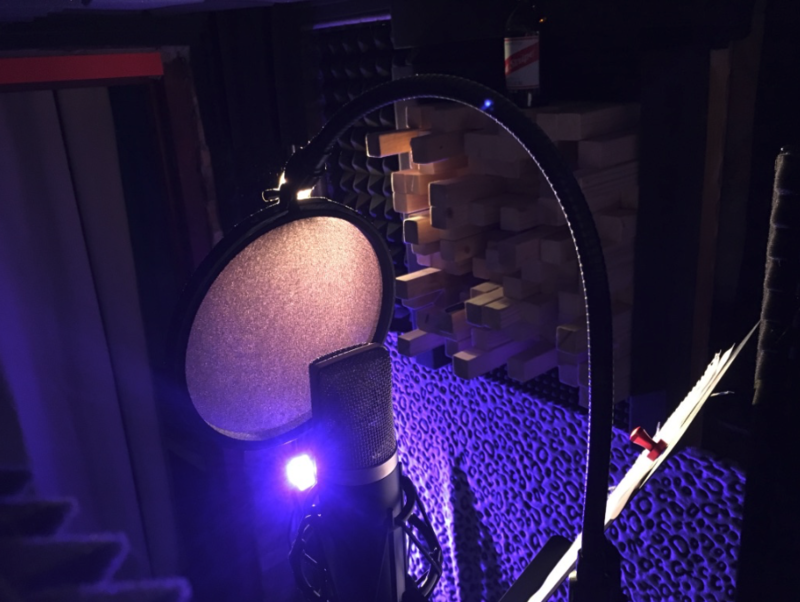 I want creative types coming here to have memorable, fun and productive recording experiences, acheiving their desired artistic results. 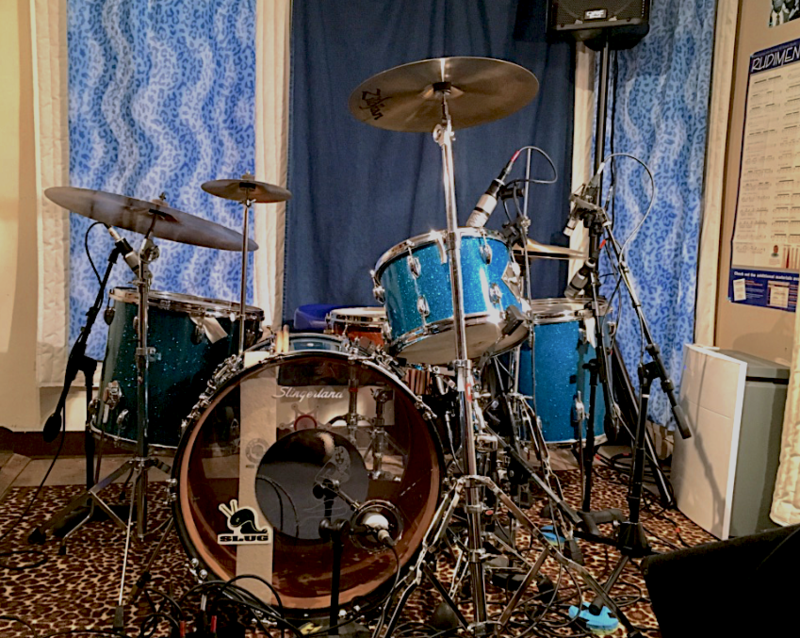 The room has a great live sound, and is ideal for 2-4 musicians for demo recording. I use Logic Pro X for recording and mixing, with projects usually being under 50 audio tracks with my DAW set up at this time. 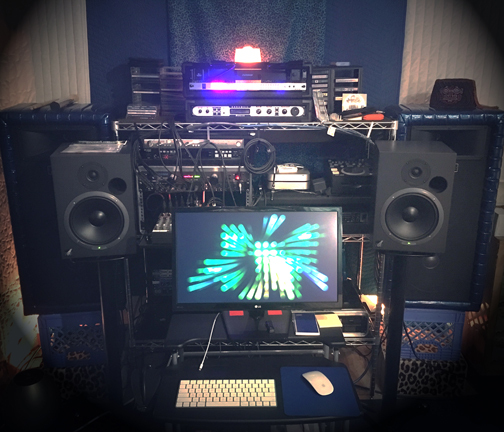 I record in 24 bit, 48 kHz. I am a big fan of Blues, Country, Americana,Rock, Exotica, R&B, Soul, Americana, Latin Jazz, Pop, Trance and Tropical Rock. 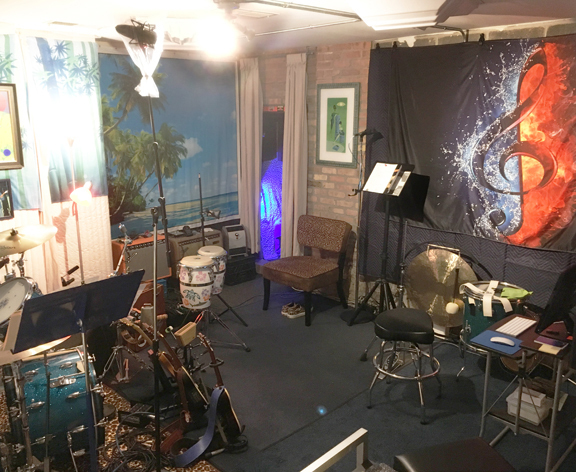 Interior design details for the layout of the room had to have my creative collaborators and music students feel energized and excited about coming for lessons and playing here. The "Leopard Lair" had to be exotic and playful, and still satisfy my necessary sonic requirements. I avoided as much "traditional" sound treatments and designs as possible, using materials in ways not typically done. I want everyone to be totally stoked when playing, creating and recording here. And yes, dancing is allowed!!! It's been a great opportunity to create, teach and practice in this place. 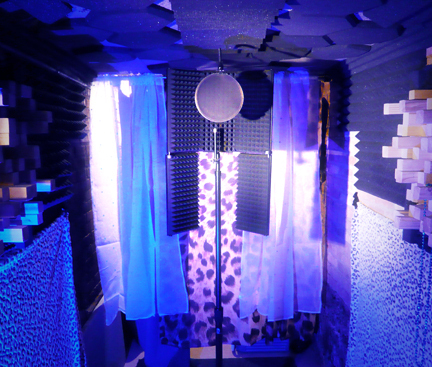 I also have a vocal booth annex at the Blue Leopard Lair for more isolated recordings. This was a fun and challenging project setting this space up. 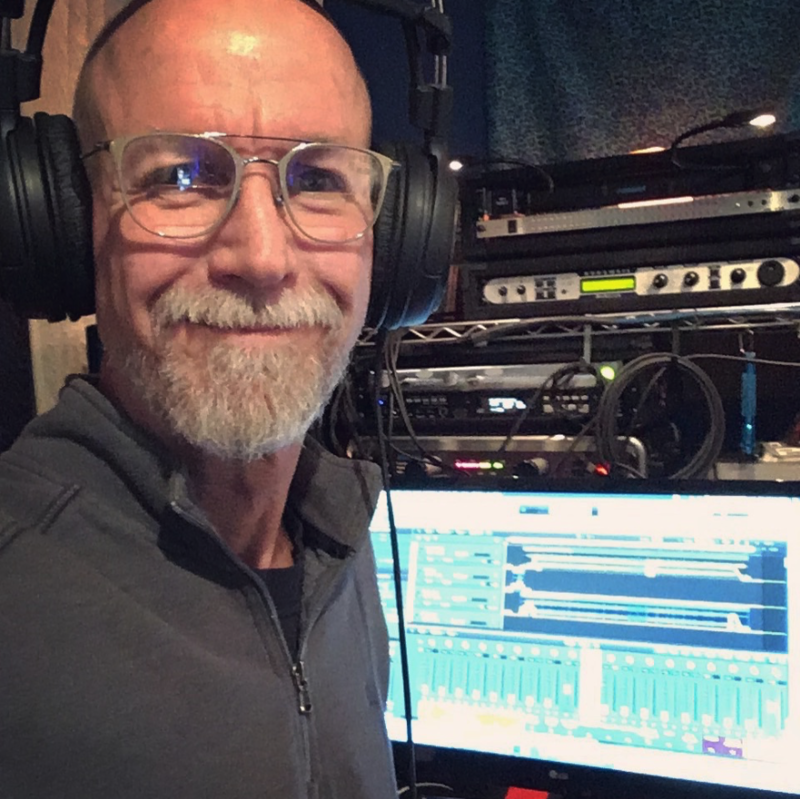 I feel much gratitude for this blessing of being here since January 2018 in this musical sanctuary, and hopefully for you as well soon!